Are you in the market for the best violin tuner but you don’t know which one you should pick? If that’s so, we’re here to give you a hand. Based on our detailed research, it appears that the model you ought to consider is the KLIQ UberTuner. 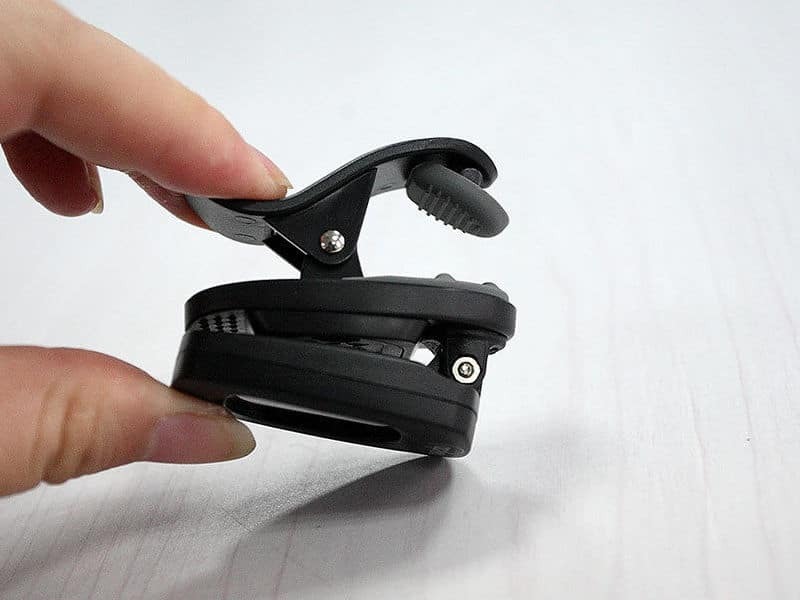 One of the coolest things about this clip-on model is that it can be used with virtually any string instrument ranging from ukulele to violins. Therefore, if you play two types of string instruments, you should check it out. Plus, the unit does its job fast and accurately, and it has been outfitted with a bright display, which is why you can practice even in a dark room. Given its ease of use, it has gathered a good deal of favorable violin tuners reviews. 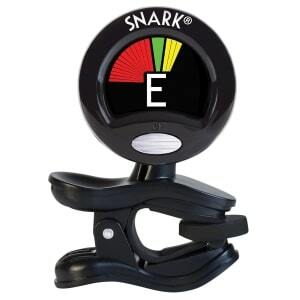 If the KLIQ UberTuner is no longer available, maybe the Snark SN5X might meet your expectations. You can enjoy more of the time spent actually playing the violin by using this quick tuner with a very highly responsive Piezo Sensor, which will make sure your instrument is correctly tuned. You only have to turn it on, clip it and it will detect the pitches from the vibrations of the device. It ignores room noise so you won’t have to worry about that getting in the way. Its design is sturdy, able to withstand being taken on tours and being heavily used. A few customers have complained the clip is too big for this design. A good tuner with an accurate display, the UberTuner is definitely worth a shot. This model has a full-color display to help you get the right tone. It features a frequency range that’s specifically designed to fit guitars, basses, and violins and other string instruments, so it’s very adaptable and can be used by more than one person. It would be a great addition to your band’s concert gear. It rotates 360 degrees, which means it can be used either on the front or the back of the headstock with the same accuracy. It also has an affordable price. This product does not display the flat value of a note, but the sharp one. 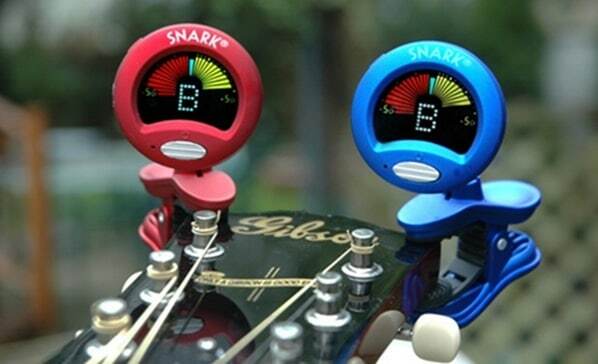 Try this tuner for a successful trip with your bandmates, and you won’t need any other similar product. The compact design of this tuner makes it ideal for an orchestra or a band, given that it can be easily stored in the carrying case of one of the instruments and brought along to the next concert venue. It features an LCD needle-type meter and has exceptional precision. The calibration function can be adapted to a great variety of pitches, covering anything from C1 to C8, which makes this tuner a great addition to your concert gear. Background noise can affect the accuracy of this model. 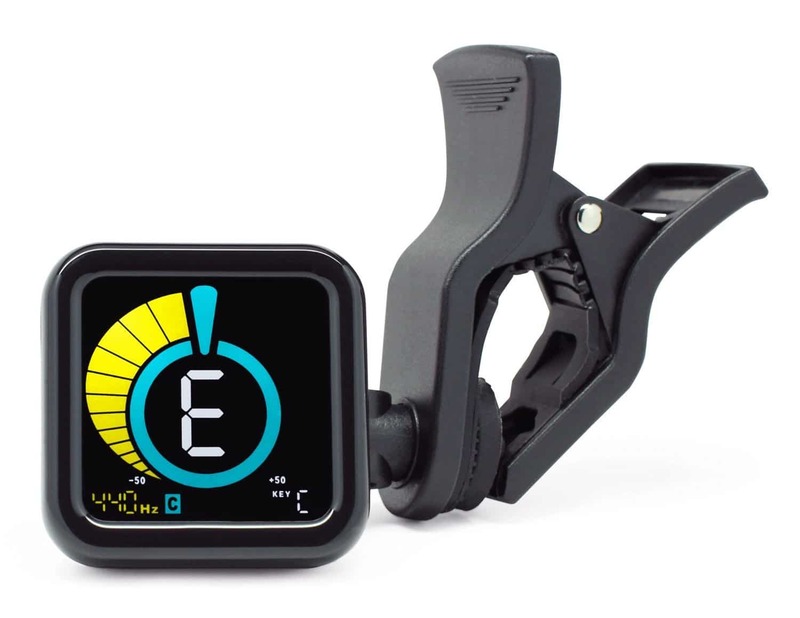 This is an easy to transport tuner that you’ll find useful when looking for a quick fix. If you have little to no time to go through dozens of reviews of violin tuners, we suggest you have a look at the selection below. It’s packed with some of the critically acclaimed options that every budding violin player should consider. Despite being one of the most budget-friendly units out there, this KLIQ device is also among the most esteemed ones. It is reliable, versatile, and convenient, and it comes with an easy-to-understand chromatic display. So, even if you do not have a lot of experience when it comes to using tuners for your instrument, you could easily learn to utilize this one. The super bright display that the UberTuner has been outfitted with will enable you to practice your violin playing even in the dark. Having been equipped with an advanced microprocessor and a particularly sensitive Piezo Sensor, this unit can make it possible for you to tune your violin in very little time. The wide tuning range made available by this product is an advantage in itself. Plus, it comes with tuning modes specially designed for guitar, violin, bass, as well as ukulele. So, if you play two instruments, you can use the same tuner for both. Despite being primarily marketed to guitar and bass players, the Snark SN5X works for violins, too. Much like some other clip-on tuners in the same line, this one boasts a color display that will assist you in understanding just what changes you need to make on your strings to bring them to the perfect pitch. Something else worth noting about this model is that it is 360-degree rotatable, so you can position it on your headstock however you wish. You can use it either on the front or the back. This unit has received great ratings from people who have played the violin in the past but who have never learned how to tune their instrument. These same individuals say that the SN5X is a winner in terms of usability as it raises no difficulties at all, even to less tech-savvy users such as 9-year-olds. Of course, the fact that it is remarkably affordable is another benefit to take into account. 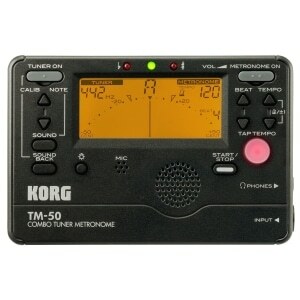 This Korg model is one of the most precise and reliable alternatives, especially for those who play in an orchestra or a brass band. The wide range of pitch detection can do a good job when it comes to covering C1-C8. The high-precision LCD meter that the CA1 comes with makes it possible for you to visualize the position of the needle without straining your eyes. The feedback indicated by the LEDs can indicate the pitch deviation. Moreover, this unit is quite compact and therefore, easy to carry around from practice and back home. While it is not a clip-on tuner, it still won’t take up too much space in a budding musician’s backpack. Something other you might want to know in relation to the CA1 is that it is equipped with a Memory Backup function that enables you to store a reference pitch so that you can always tune your violin in accordance with it. Our buying guide includes a section regarding tuners that are also metronomes and it points out that such devices are convenient because they won’t force the violin player to carry two devices. 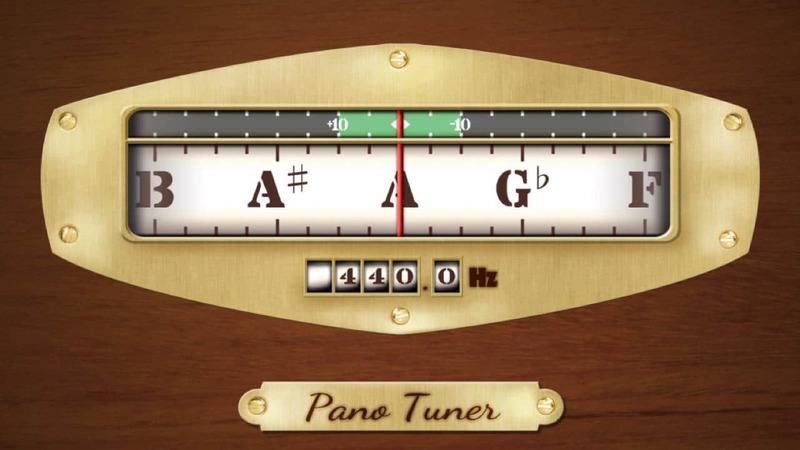 While in the case of most other electronic tuners, you’d have to switch between the metronome and tuning feature, this one allows you to use them simultaneously. 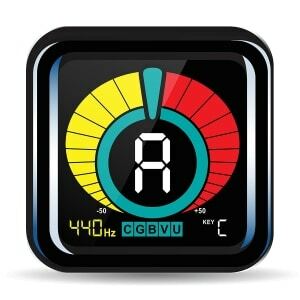 The responsible LCD needle-type meter that it comes with, as well as the wide C1 to C8 detection range, are two capabilities you might want to have in every tuner. The TM50BK also makes 15 rhythm variations available, which means that you do not have to limit your musical style. You can be as creative as you want thanks to this device. 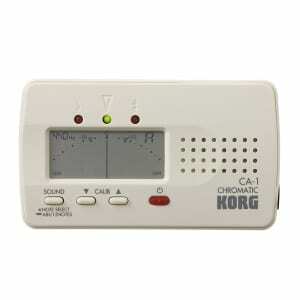 As is the case with other tuners manufactured by Korg, this one comes with a Memory Backup feature. It also shuts itself off when it’s not in use, so it saves the battery. If you would much rather go for something a bit more traditional, perhaps you should consider this particular model. Just keep in mind that using a tuning fork is a bit more complicated than relying on the services ensured by an electronic tuner, and that’s mainly due to the fact that your ear has to be particularly well-developed. Although it might take you a bit of practice to learn how to use a tuning fork, you will have no trouble doing so with this accessory. The unit delivers a longer sound and a clear tone, which is why you’ll have little to no issues with tuning your instrument. 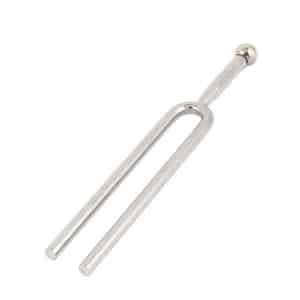 While it is mostly marketed toward acoustic and folk guitar players, this typical tuning fork can also be utilized with violins. The 440Hz frequency is delivered accurately and in a timely fashion, and the high volume of this fork will enable you to hear whether you need to adjust your strings appropriately. Whether you’re searching for the best violin tuner metronome or the best violin tuner app, you have come to the right place. We have collected a series of aspects you ought to consider to make sure you make the most out of your device. Do not worry, for those of you who are on a budget and have nothing against using a digital tuner for violins, we’ve also included a short list of popular violin tuning apps at the end of this article. One of the first factors that you should consider is just what type of tuner you might be looking for. Considering the broad array of products available for sale, you might end up feeling a bit baffled as to which one makes the absolute best choice for you. There are roughly four styles of tuners for violins out there today. Tuning forks are the original designs used by professionals. They are less popular these days because they do require a good deal of experience. However, they also come with a series of benefits, one of the main ones being that they are particularly affordable. Aside from being cheap, they are also rather durable, and best of all, they don’t require batteries. What this means is that you never risk bringing along a tuning fork that’s not usable on account of a depleted battery. Every time you strike the tuning for on a hard surface, you will hear a specific frequency. You need to tune your violin strings individually with the help of a fork. It goes without saying that you should possess a developed musical ear to tell whether or not the violin string vibrates sympathetically with the tuning fork. Electronic models can also be considered, and they are far easier to use compared to their classic tuning fork counterparts. The difference between them and the somewhat dated design is that they come with an easy-to-read LCD display and are equipped with a flexible technology that enables you to tune your instrument flatter or sharper than a 440Hz pitch. Given that many of these models can produce pitches, too, they can come in handy for intonation practice. Hybrid metronome tuners are similar to electric violin tuners in that they achieve two purposes, therefore enabling you to carry fewer pieces of equipment with you. As their name suggests, they are both tuners and metronomes all into one. It is said that some of these choices are a tad more sophisticated compared to standard electronic units, but most interfaces we have checked out are still highly usable. Technically, we should have included this part of the buying guide in the section above. However, clip-on tuners deserve their own description as they are by far some of the most usable gadgets one can find nowadays. In most cases, clip-on tuners can be used with a broad array of instruments. Therefore, if you play the violin, but you’re also learning how to play the guitar or the ukulele, you can use the same gadget with the two instruments. The simple LCD display that most such models are fitted with will let you know whether you somehow have to modify the tension of your violin strings. If you have managed to select a good violin tuner for the vast variety of products out there, you need to know that your job does not end here. Electronic models have to be carried in a protective case or bag so as to ensure that the screen is safe and sound. Also, since they’re not waterproof, it goes without saying that you shouldn’t accidentally expose them to the elements or keep them in a too cold or hot environment. Similar maintenance-related measures have to be taken even if you have chosen a tuning fork. If you don’t take care of it and store it properly, the metal might chip, deform, or erode, thereby affecting the tuning properties of the product. If you’re not using your tuning fork, do not keep it in sight. Keep it in storage. This chromatic instrument tuner and pitch pipe is free, so it definitely addresses the requirements of those who are not yet sure if they should or should not invest in a tuner. The interface is quite easy to read and understand, and the neat thing about this app is that it comes with an automatic reference note calibration. One of the core benefits of deciding to install this app is that it can be used efficiently in a matter of several seconds. The app analyzes the sound you make with your instrument and immediately shows you the right pitch. Another cool feature of this app is that it can also be used to adjust the concert-A frequency, which is something you might be interested in if you want to tune your violin in harmony with that of others. Unlike the other two apps we’ve tackled earlier on, the Violin Multi-Tuner does not come for free. However, since it costs less than one dollar (at the time of this writing), it seems to be worth every penny. It is capable of providing accurate pitch detection in a matter of seconds, so you’ll waste no time tuning your violin. It also includes a metronome. Another app that is free of charge is Pitch Perfect. Having received mostly rave reviews, this tuning app is said to be easy to use. You can utilize it on any string instrument, and it will tell you whether the string you are tuning is flat, sharp, or in the right pitch. If you can’t be bothered with fiddling with the interface, just use the automatic presets of this app.